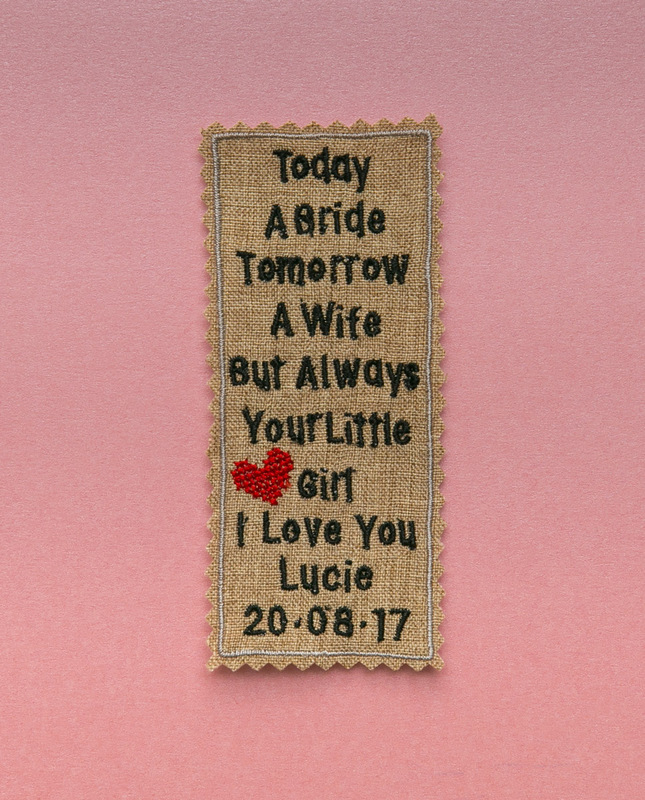 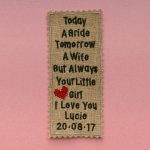 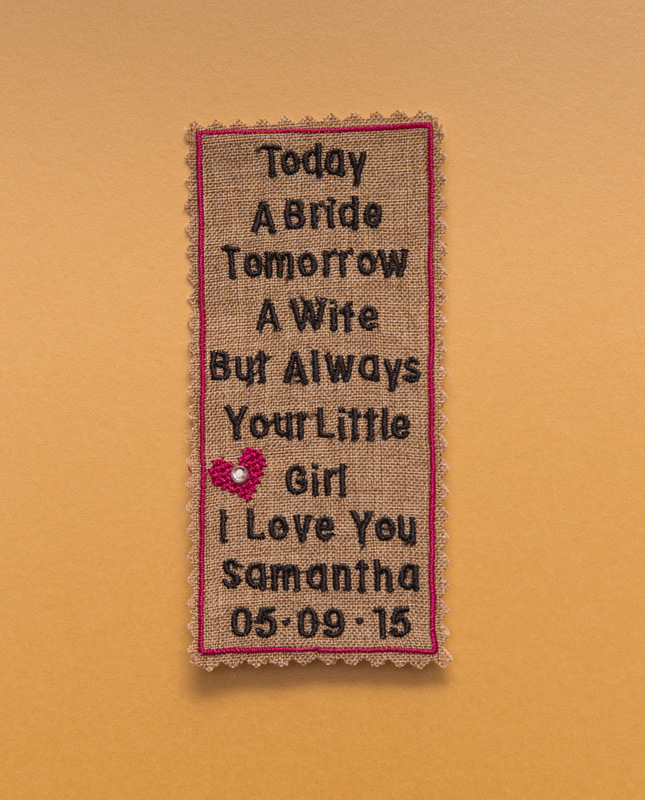 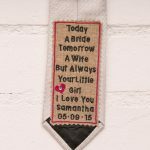 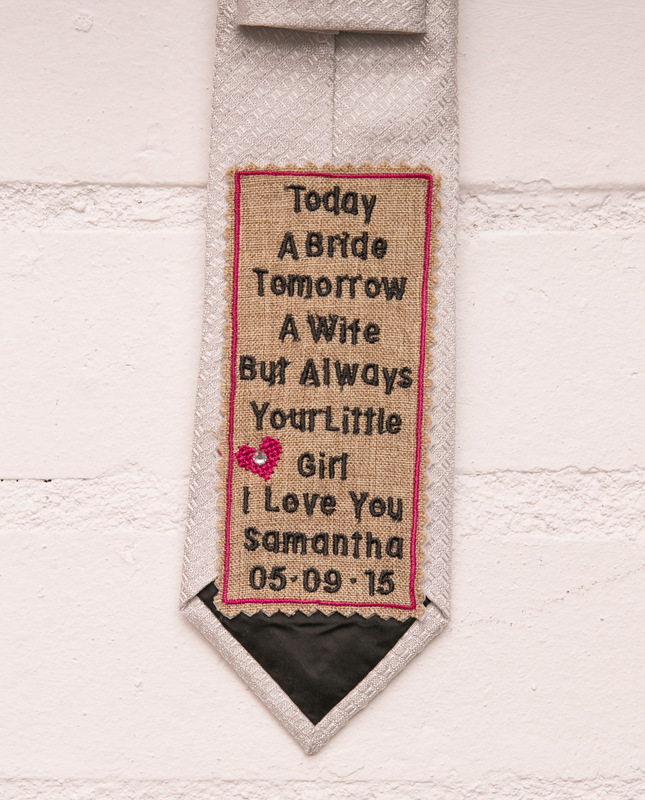 Personalised Skinny Tie Patch for Father of the Bride. 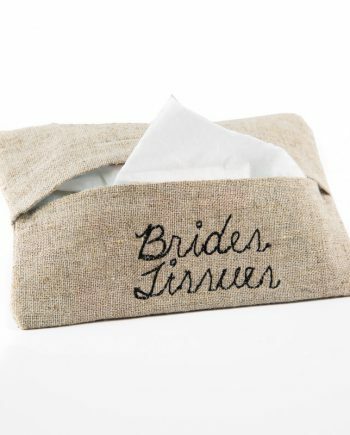 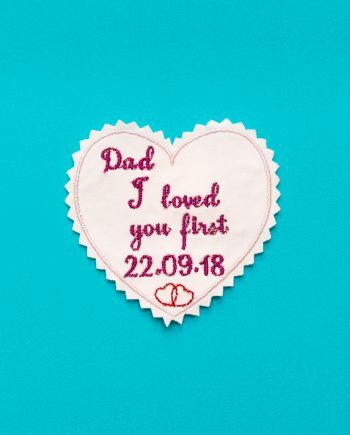 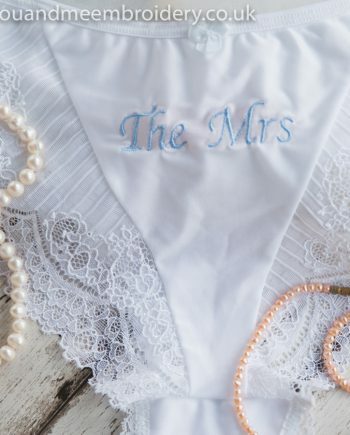 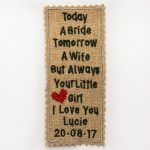 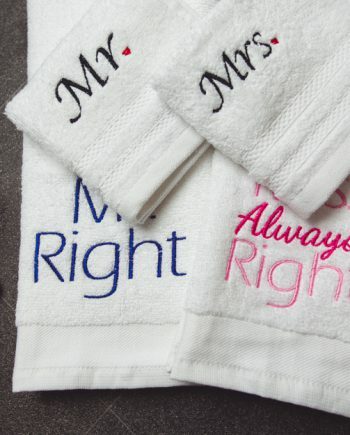 Looking for a unique gift for your dad on your wedding day? 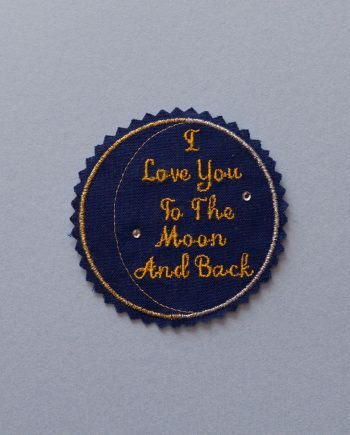 this skinny tie patch is perfect. With a sentimental saying that your dad will love and a crystal to add a little sparkle it is a wonderful gift to give. 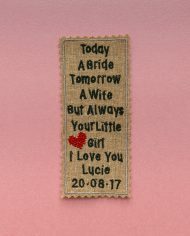 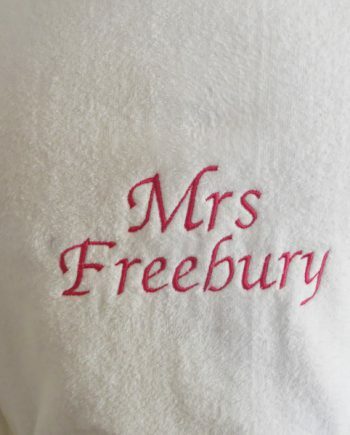 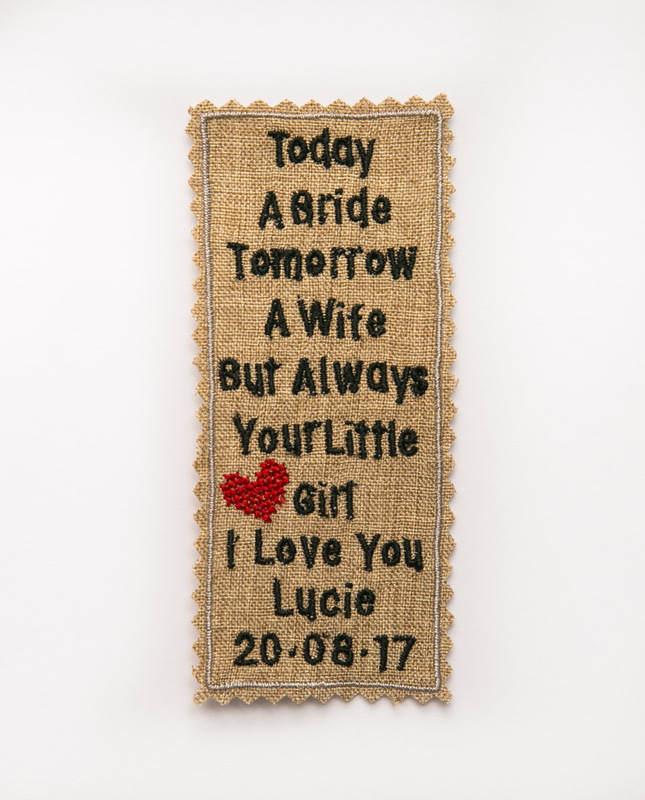 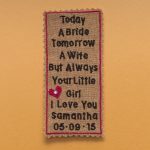 You can add your name at the bottom and your date, the border colour can also compliment your colour scheme. 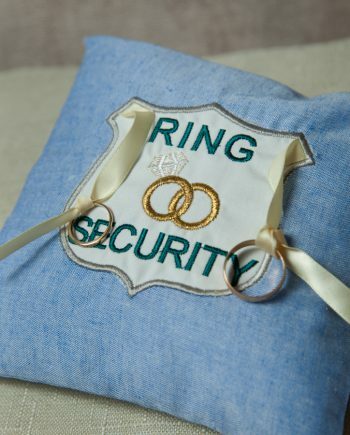 The patch can be fixed onto any piece of clothing such as the back of a tie or the inside of a jacket. 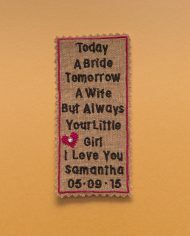 They can be sewn on, or ironed on using a little bondaweb.